Use this step-by-step guide to help when an employee leaves. Enter the date that the employee is leaving. 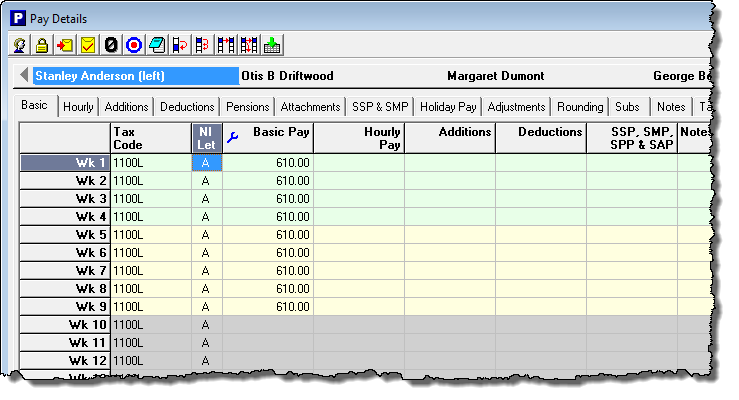 Click ‘Employees – Employee Details’, click on the ‘Work’ tab and enter the leaving date in the ‘date left’ field. Take extra care to ensure that you enter the correct date at this point. On some occasions you may see a message indicating that this employee has pay entered after their leaving date. This would occur if you have chosen to pre-populate future pay periods with the employees regular pay. Click ‘Yes’ to remove this pay. Go back to the ‘Pay Details’ screen. You will see that the periods following the employee’s leaving date will be ‘greyed-out’. Check that the pay for their final period of employment has been entered correctly. 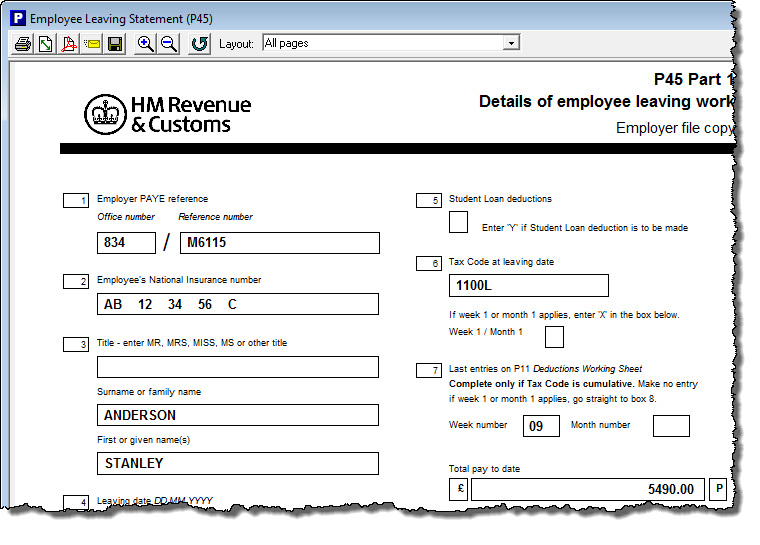 Click ‘Forms – Employee Leaving Statement (P45)’ from the main menu. The P45 will be displayed on the screen. Select the ‘online’ layout from the drop-down selector at the top of this report. You can then print the P45 and give it to the employee. Note – before the introduction of RTI it was necessary to file a copy of the P45 to HMRC. This is no longer the case as the leaver information is submitted as part of the next regular Full Payment Submission (FPS) to HMRC. The leaver information for an employee is no longer submitted to HMRC via a P45, but instead is sent as part of the next regular FPS within RTI. As such you don’t need to file this information immediately, but instead wait until the next FPS becomes due. What happens when an employee dies ? – You would proceed in the same way that you would do for a leaver by entering a leaving date on the ‘Employee Details’ screen. There is no separate ’employee has died’ indicator.